Let me be a bit clearer about my intentions. 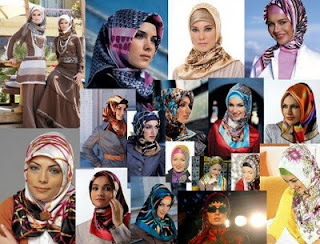 Although I am a Muslim, I am actually not the greatest fan of the headscarf. I think the Quran’s verses on female modesty are open to interpretation, and it is possible to understand them in a way which will not necessitate the covering of a woman’s hair — let alone that of a teenage girl. But I respect the views of my co-religionists who think that the veil is a religious necessity, and stand for their right to wear it anywhere they want. Similarly, if some crazy regime banned the Jewish kippah, I would support the right to wear that as well. For me, too, religious freedom is non-negotiable. Secondly, although I detest this particular form of secularism that is established in Turkey — laiklik, a worse version of the French laïcité — I am actually in favor of a secular state. But I want a secular state which is neutral to religion, not hostile and oppressive to it. It should try not to sterilize the public square from religion, but rather open it to all religions and philosophies. The United States is probably the best example. However, the anti-religious form of secularism is the only one that the Turkish state establishment knows. Hence “protecting secularism” here means banning the power and symbols of religion — and particularly Islam — as much as possible. That is why the headscarf is banned in the public square, including universities. And that’s why every year thousands of veiled Turkish students head to European or American universities, where they find freedom. Unfortunately, this Turkish experience gave secularism a bad name in the whole Muslim world. Hence, despite all the wishful thinking by Westerners, Turkey never became a “model” or “example” for other Muslim nations. Which Muslim believer would want to adopt a political system which forces women to uncover themselves, bans courses on the Quran and even messes up the call to prayer? So, if Turkey can ever really inspire other Muslims — and bring relief to its own — it has to abandon its tyrannical form of secularism and start to learn what religious freedom means. Regrettably, though, despite all the change in the world, the rigidity of Turkey’s ultra-secularists, and their standard bearer, the People’s Republican Party, the CHP, remains untouched. And, again regrettably, their new leader, Kemal Kılıçdaroğlu, keeps on proving that he does not have the spine to introduce any real change to his archaic party. Last week, he unexpectedly spoke to daily Radikal about his plans to “free the headscarf in the university,” only to back off a day later, when he apparently got a lot of heat from the CHP nomenklatura. He is a manager, it seems, not a leader. Yet I am sure that this insane ban on the headscarf won’t last forever, and even Turkey’s ultra-secularists will have to soften over time. And until then, thank God, we have at least free countries such as the Greek-ruled Cyprus Republic, where veiled Turks can find respect.
" the extremest seculars are no difrent than the religious one's "